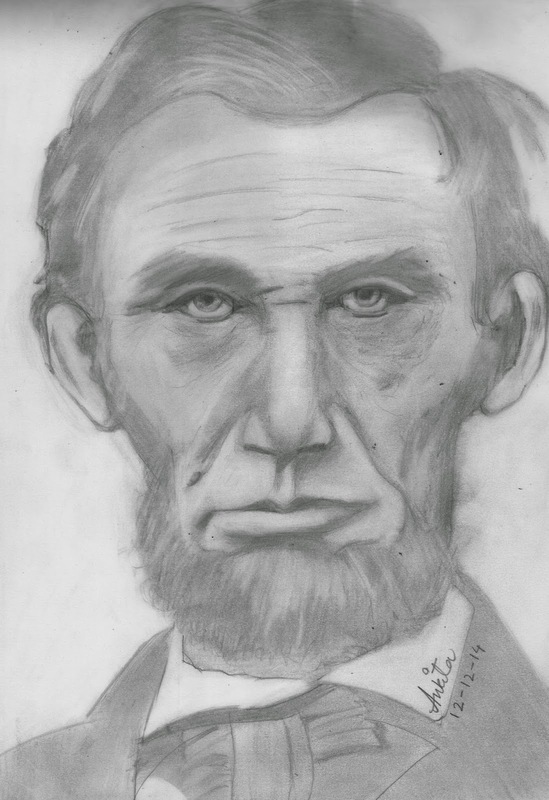 He was the 16th president of the United States, serving from March 1861 until his assassination in April 1865. Lincoln led the United States through its Civil War—its bloodiest war and its greatest moral, constitutional and political crisis. In doing so, he preserved the Union, abolished slavery, strengthened the federal government, and modernized the economy. Very well done,how do you do it !!!! Thanks a ton for this awesome compliment!!! Amazing.. U r getting better with your each sketch.. U have become pro now.. Keep it up..
That is such a huge compliment!! You have sketched his features in an acknowledging way.Nice.